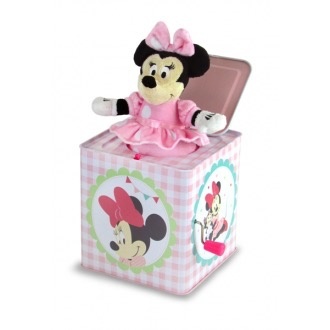 Delight your little ones with this Disney Minnie Mouse Jack in the Box featuring our favourite Disney characters. Wind up the lever to hear an enchanting tune, then POP! little bubs will be surprised with glee!